"Food Genius, Food Innovator, Food Scientist, Food Shaman. Dr. Mike brings a whole new element (excuse the quantum pun) to how we perceive food, both at a mind and body level. An extraordinary read." "Dr. Mike has stirred the cauldron, he has done the research and presents factual evidence to back up what indigenous healers inherently know. He is on the cutting edge of connecting the bridge between science and ancestral healing pathways. He has ingested the three drops of inspiration, digested the medicine, and has served up a mighty fine brew in the form of Food Shaman: The Art of Quantum Food." 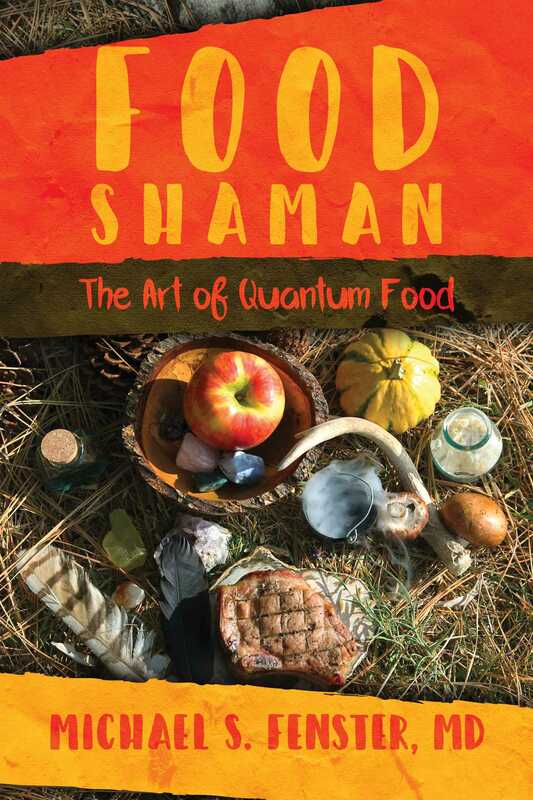 "Dr. Fenster knocks the ball out of the park once more with the book Food Shaman: The Art of Quantum Food. He unleashes his incredible mind and writing abilities to entertain and educate at the same time. He has a voracious appetite for knowledge that is shared with the reader in his unique, entertaining style! I really love this book!" "Food Shaman is a terrific source of healthy cooking and amazing foods from the world's top cardiologist-chef. It's the Ultimate Almanac of Healthy Foods bringing a fresh perspective on eating healthy; a tour-de-force of healthy cooking and medical science." "Michael Fenster's Food Shaman is an addictive read rich in detail and enlightenment. It is straight to the point and digs into the complexities of the human connection with food without being boring or preachy. Fenster provides a refreshing take on food and presents it as an overall experience for the mind, body, and soul. This book holds all the ingredients to help heal your relationship with food."